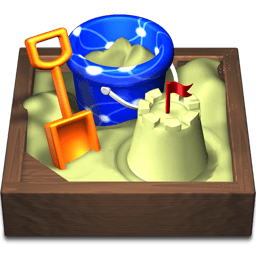 To build “DimensionEngine,” Carl Renshaw chose Sandvox. He chose the “Lithium Classic” design for the site. People may want to visit the site if they are looking for units converter, scientific calculator, excel add-in, convert co.
We've used many online calculator websites and we were sure we could do better. Every site can add and multiply numbers. But in science, engineering, and just about anything, those numbers have units, like feet, inches, meters, etc. The DimensionEngine Online Calculator automatically handles both the numbers and the units. Our Excel Add-Ins offer a revolutionary new way to automatically convert units in Excel. Anyone in science and engineering needing to perform calculations with units. Our online Dimensional Equations Calculator is the fastest, easiest, and most reliable way to solve problems involving units. Our DimensionEngine Excel Add-In offers a revolutionary new way to automatically handle your unit conversions in Excel. Our add-in will also check all your calculations for dimensional consistency and output your results in whatever units you want. We chose the Lithium design from BehindTheRabbit for its simple elegance. We didn't want any distracting images. Calculations should be clean and simple, just like the Lithium design. We used code injection extensively to interface Ajax server calls to create a dynamic website. This website was created by Carl Renshaw of Hanover, New Hampshire, USA.